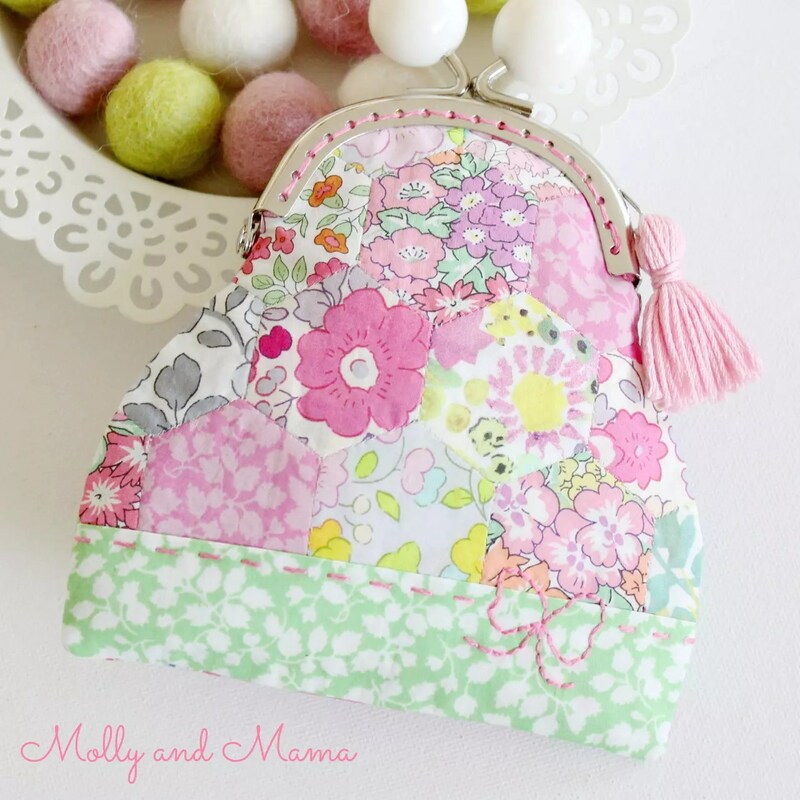 Introducing the Pretty Penny Coin Purse Pattern! 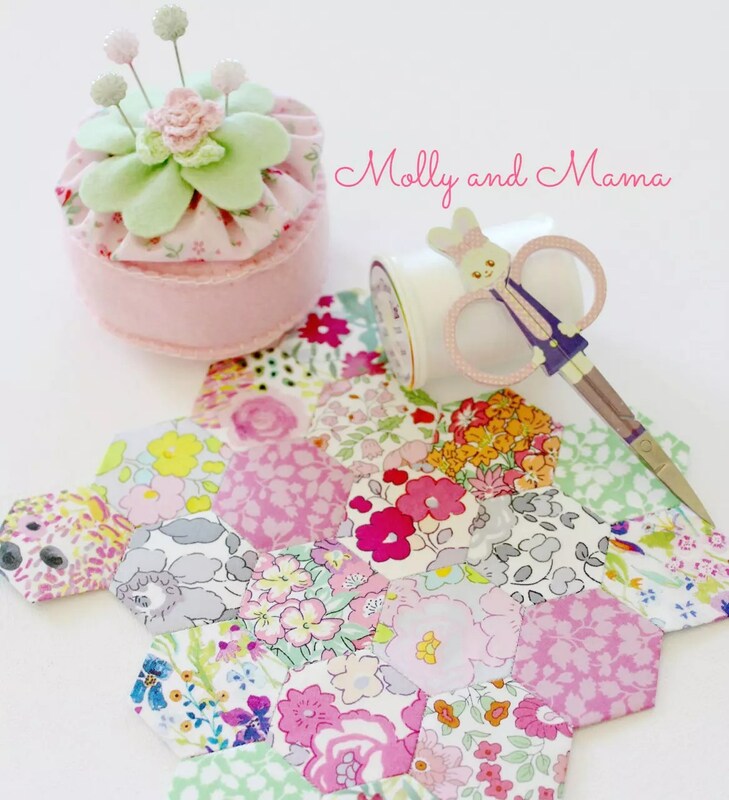 It’s the first ‘Hexie’ pattern from Molly and Mama, and I’m so thrilled to bring it to you. It’s the start of some new and exciting collaborations here in Molly and Mama land. Have you ever wanted to sew a bobble clasp or kiss lock clasp purse, but weren’t sure how? Have you admired English paper piecing and hexagon sewing but didn’t know where to start? Have you looked longingly at beautiful Liberty tana lawn fabric, but didn’t know what to do with it, without the perfect pattern? 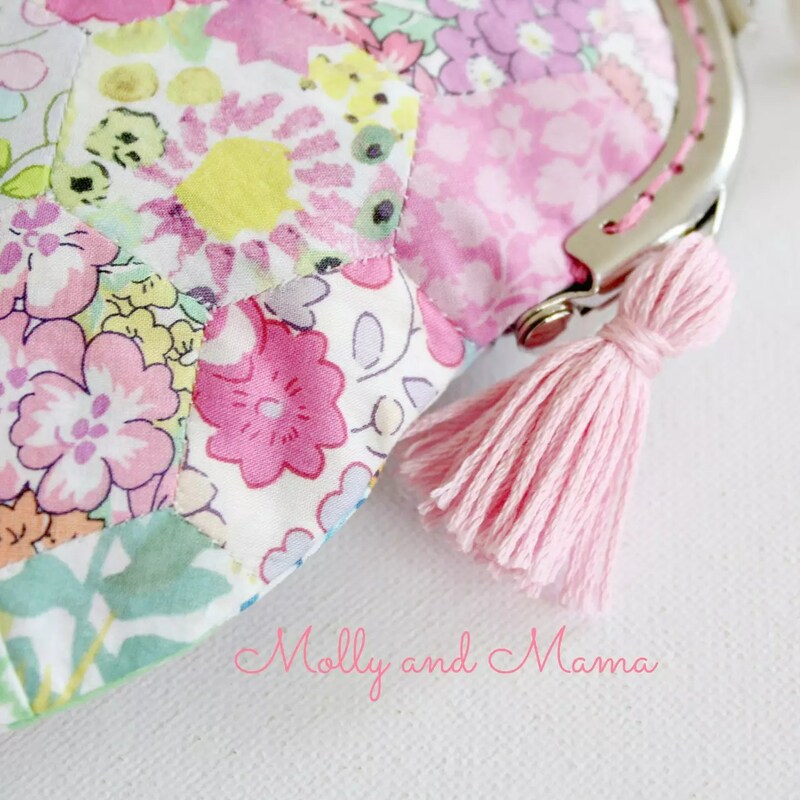 The Pretty Penny Coin Purse Pattern is the answer to all that and more! This PDF sewing pattern is my first collaboration with the lovely Liberty fabric store Ava & Neve and I’m beyond thrilled. Martina contacted me to design a pretty coin purse pattern so that we could create a beautiful kit that contained not only the fabric and the bobble clasp, but also gave you access to the instructions to sew one too. 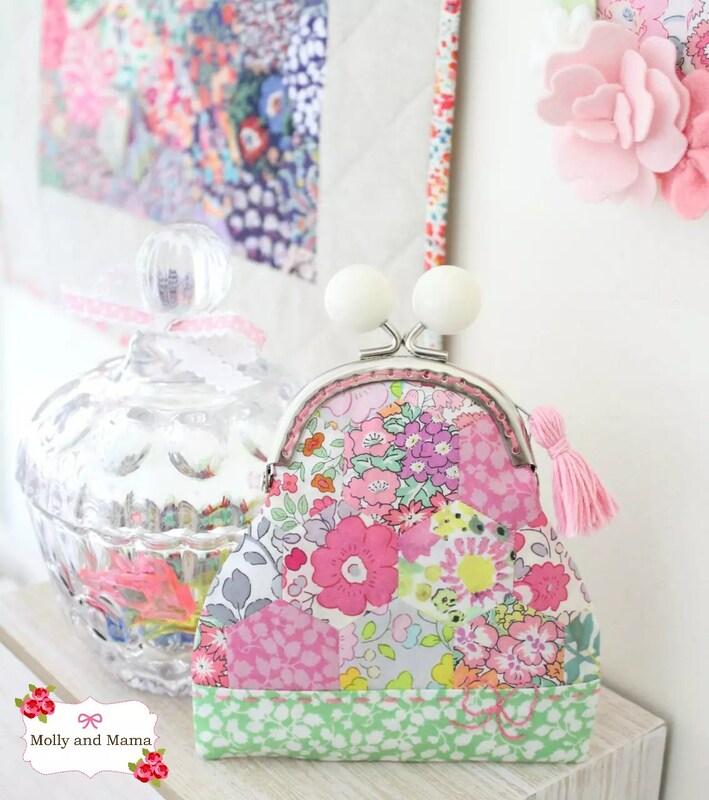 You can head to Ava & Neve to buy the purse kit including specially curated Liberty fabric for the hexies, and a coordinating bobble clasp, front panel Liberty fabric, sewline glue, and lining fabric too. Or you can pick up a bobble clasp on it’s own. And then download the pattern here. Not only will you create a hand stitched hexie purse front and back, but you’ll also add special details like this adorable bow embroidery. You can also add embellishments like this lovely little tassel – the perfect finishing touch! 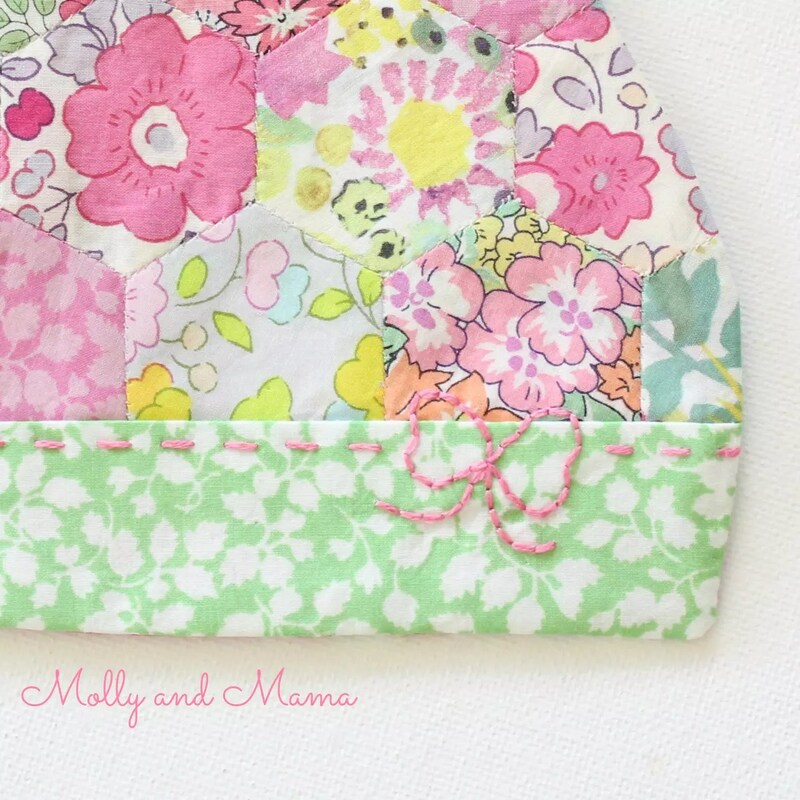 If you haven’t tried one of my patterns before, this will give you a great taste for what Molly and Mama tutorials and patterns are all about. I love giving you lots of detail! I love helping beginners learn a whole set of new skills. And I love sharing new, inspiring ideas with experienced stitchers, makers and designers. So please check it out, and if you like what you see, you may also like to head to the pattern store for more sewing projects, felt craft patterns, applique templates and more. 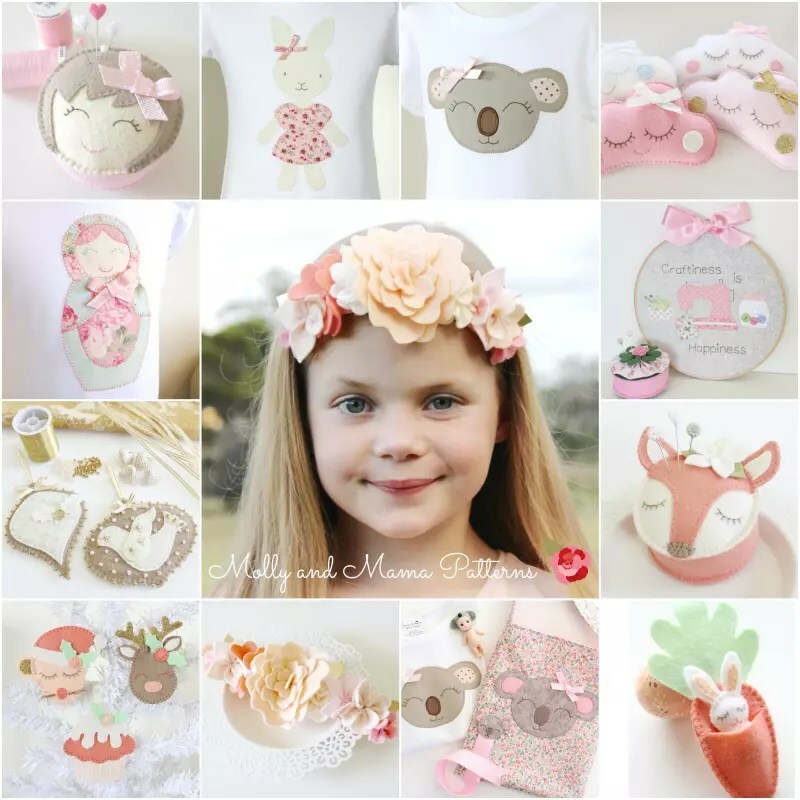 A big welcome if you’re new to the Molly and Mama sewing journey. I hope you feel inspired to stick around and check out a little more. There are heaps of free sewing tutorials for beginners and lots more besides! Maybe you’d like to follow the blog (use the sign up box on the side bar) or join the mailing list? And don’t forget to head over to Ava & Neve to check out all their beautiful Liberty fabrics, and more! Don’t forget to download the pattern! Thanks for stopping by.